Accidents on highways can be some of the most devastating as they involve impact at high speeds. 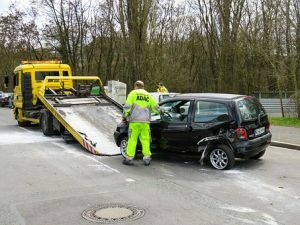 These accidents can happen without warning, and they can leave victims to deal with the impacts for many years to come. No one ever expects to be in an accident, and, while no one can control when they happen, driving safely and attentively keeps others and yourself safer. All drivers have a responsibility to drive attentively when they are behind the wheel. On May 25, a minor traffic accident involving two vehicles was reported to the Worcester Police Department. Emergency personnel were first alerted to the incident around 3 in the afternoon. First responders were dispatched to the scene which occurred on the 700 block of Plantation Street. Upon arrival, medical care was given to at least one victim while at the scene. Initially, police and fire departments directed traffic around the area, and traffic was soon returned to normal as the scene was cleared quickly. While minor injuries were reported, the full extent of the injuries was not initially released. The accident in question thankfully did not have any major injuries reported, but some vehicle accidents are much more serious. We ask all drivers to remember that accidents can happen at any time. Even small moments of negligence can have serious consequences, and it is vital for all drivers to do their part to keep roads safe. As concerned members of this community, we at the Law Offices of Jeffrey S. Glassman want to raise awareness about the importance of driving with the utmost caution at all times. We want our roads to be safe for us, our families, and for everyone in the community. We realize that accidents cannot be completely avoided, so, when they do happen, we are dedicated to helping victims receive the assistance they need to move forward with recovery.